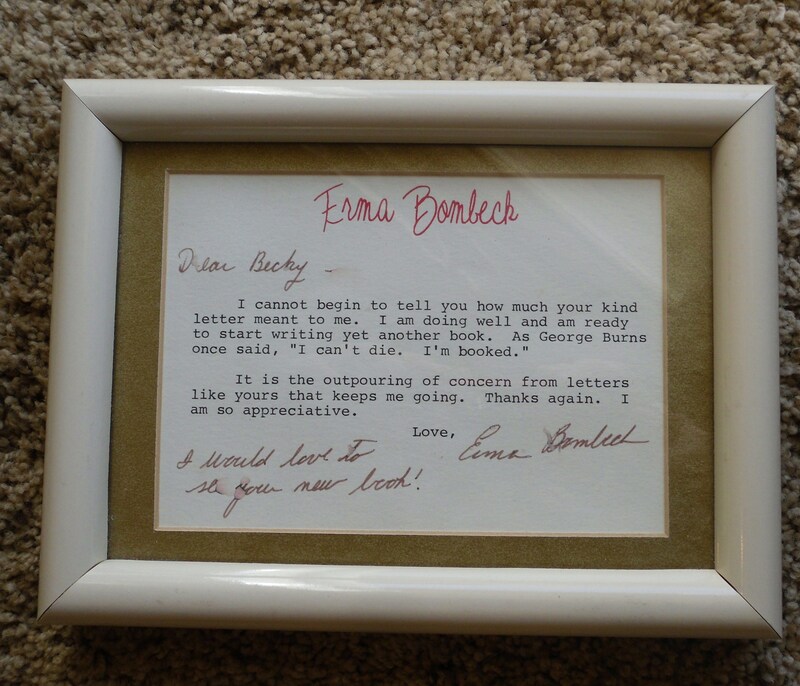 One of my prized possessions is a postcard with a handwritten note from the late marvelous, hilarious, one-and-only Erma Bombeck. I wrote her a fan letter, telling her I was praying for her health. To my shock and surprise she took time out of her day (and dialysis) to send this encouraging note to me right after I got my first book contract. The object of this game is to never throw away the leftover as long as you can still recognize it. “It is not thrown away until it recognizes you,” Erma quipped. What I love about this recipe below is that it uses up all those little bits of leftovers before they recognize you! The savory, sweet, nutty, colorful rice makes a great side dish, or with the addition of extra nuts and cheese or little bits of ham or chicken — a wonderful light lunch or dinner. In a large skillet, melt butter and oil. Toss in rest of the ingredients until warm and heated through. Salt and pepper if needed. Just before serving toss in cheese and stir. 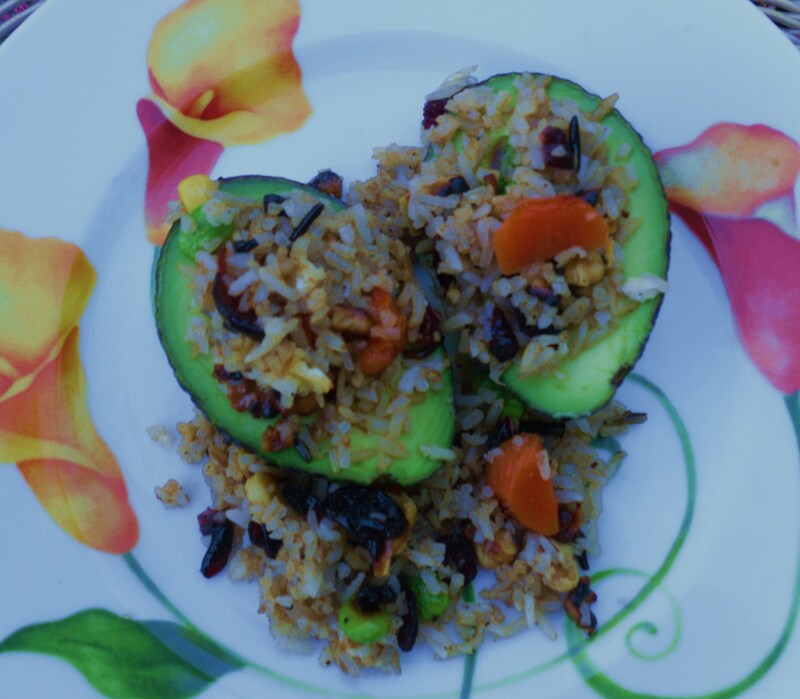 Fill avocado halves with mixture, letting some of the rice fall around the avocado on the plate as well. 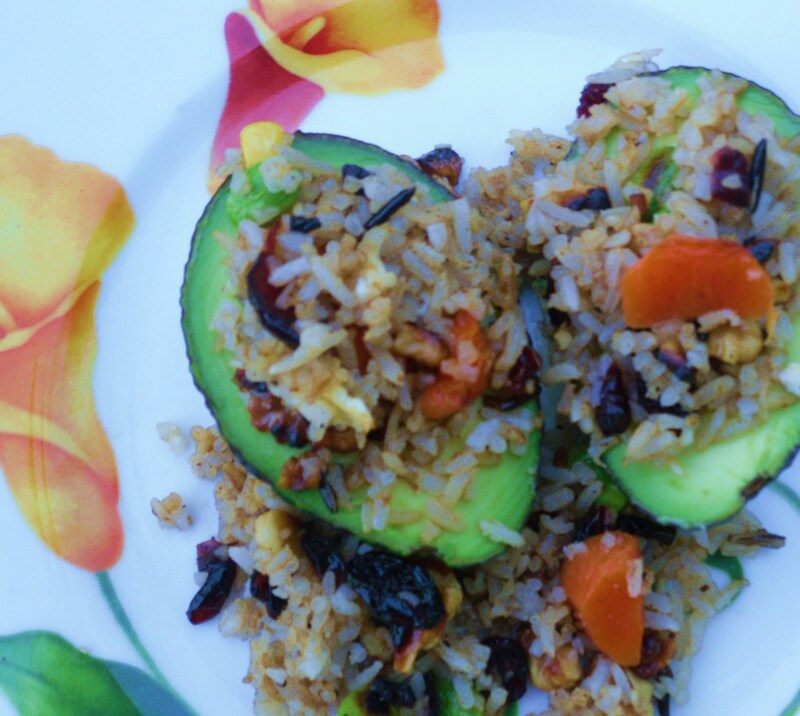 One avocado makes a nice side dish, two make a meal in itself!